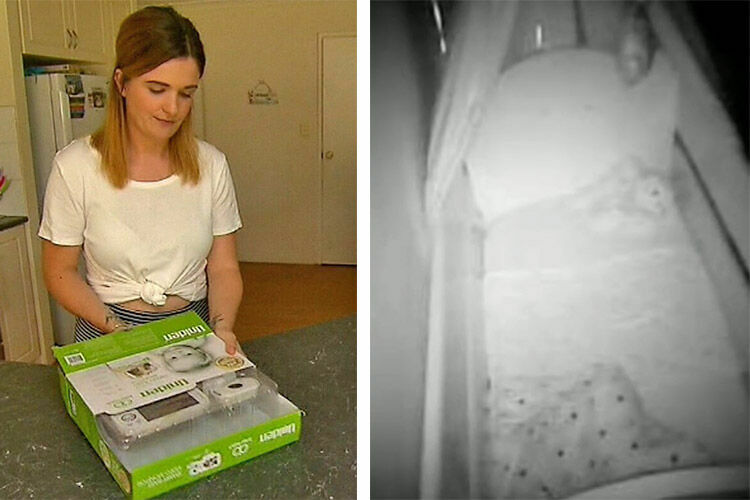 Every new mum knows that once you have a bub, it’s hard to imagine life without them. Sometimes it can be hard to imagine even a second without them, especially in those early newborn days. Even a little naptime can seem like an eternity. The Oricom Secure870 Touchscreen Monitor is everything you need for total peace of mind while they are sleeping, helping you keep an eye on bub, and more. 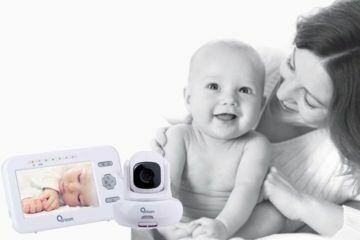 Watch every move your tiny tot makes through a motorised pan-tilt camera. 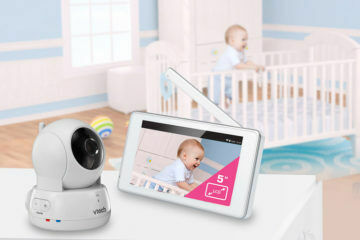 Controlled with a high-quality 3.5” touchscreen, you can scan every corner of the nursery and even go in closer with a 3 x digital zoom. The crisp colour display also switches to night vision when the lights go out. Stealthy! But this high-tech monitor does more than just watch. If your wrigglepot needs a little help settling, it also features a starry night light show, adjustable nightlight, a stack of your favourite lullabies and other soothing sounds like white noise and a nature track. And if you’re worried whether your little bug is too hot or too cold, just check out the in-room temperature on display. 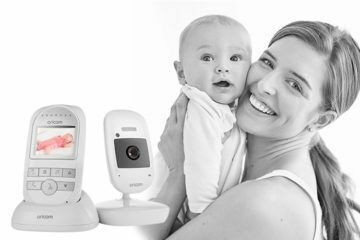 Loved by our Mum’s Grapevine mums, it’s just what you need to help you both rest easy – no more waking bub up as you check in on them at 2am ‘just in case’. If your sleepy bear does stir, you can soothe them with some sweet words from the comfort of your own bed with the parent talkback function. Or if you’d rather turn the sound down so you don’t hear every murmur, there’s a handy mute function with a cry alarm. 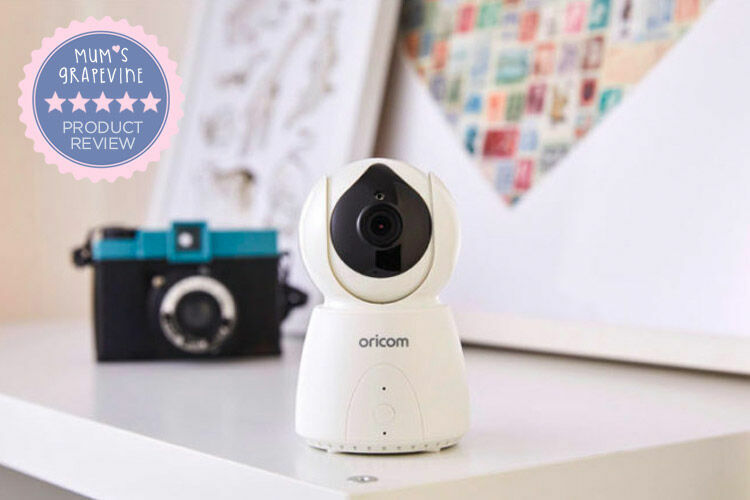 To make life even easier, you can also buy extra cameras to use with the same parent unit – great if your bub sleeps in different rooms day and night or for when baby number two comes along. 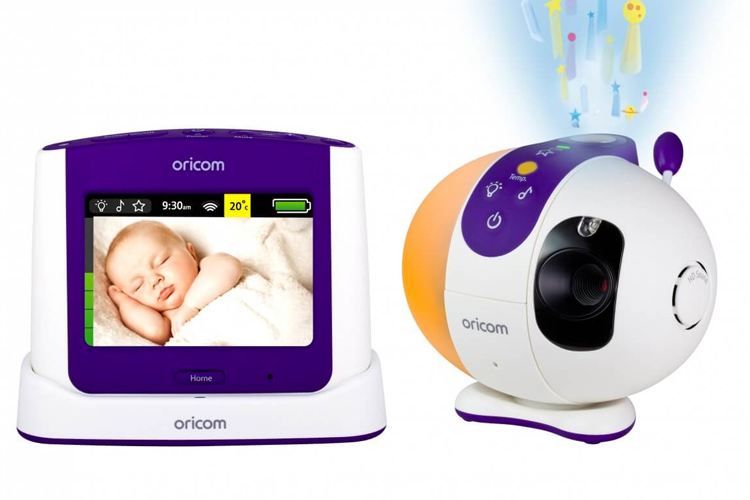 The Oricom Secure870 Touchscreen Monitor is your personal night ninja, helping you sneak a peak to check bub’s asleep. 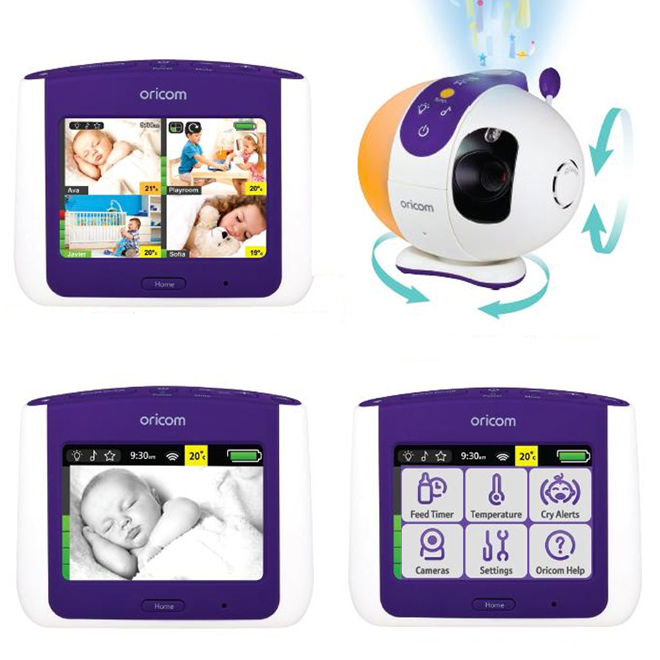 The Oricom Secure870 Touchscreen Monitor is available from Baby Bounce ($359).